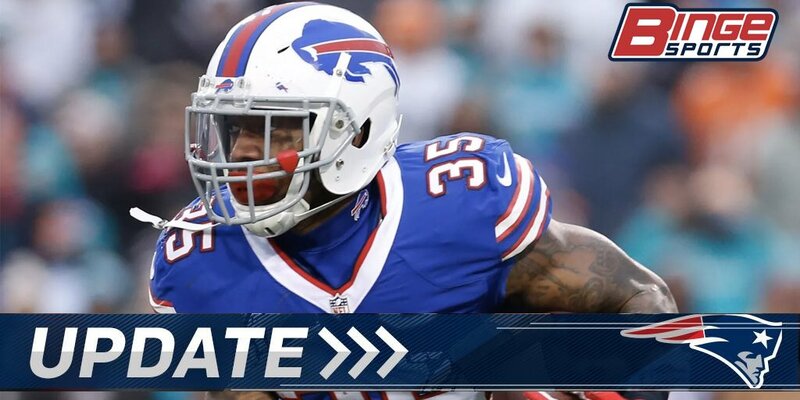 Bills declined to match two-year, $6.4 million offer sheet that RB Mike Gillislee signed with Patriots, per source. Gillislee now a Pat. In return for RB Mike Gillislee, Bills will receive Patriots' fifth-round pick. Well there you go. The Patriots address their Running Back void. That means LeGarrette Blount will not be resigning and most likely they will not be drafting a back. I don’t know a lot about Gillislee other than that he did pretty well last season against the Pats and when LeSean McCoy was out for a little bit. He defiantly fits the mold of the kind of Running Backs the Patriots are in need of. He can run between the tackles, but also is a lot faster than Blount. I think he should do well in the role that he projects into. Also I believe he can catch it out of the backfield a little which is huge and a big reason why Blount is probably not here. It was almost to obvious what the Patriots were going to do based on the Running Back that was out, Blount can’t catch it and White isn’t great at running it. This gives Bill a little more flexibility with Gillislee’s versatility. Honestly, in a deep Running Back draft, I was kind of hoping the Patriots would draft a young guy coming out. And I am not talking about any of the guys in the top of the draft, but there are a lot of backs in this years draft in the mid rounds that I would have liked to see the Patriots target, James Conner for example. But I am sure Bill will make my opinion look stupid when Gillislee runs for well over 1000 yards and leads the league in touchdowns.